(Inside Science) -- American physicist Arthur Ashkin figured out at Bell Labs in the 1970s how to hold, move and repel tiny objects like particles and viruses with a focused laser beam. Could the principle be extended to larger scales to manipulate and move an entire spacecraft, such as to guide it into docking with a space station or to prevent a space collision? The technique Ashkin developed, known as "optical tweezers," involves trapping a minuscule object -- smaller than a red blood cell, for example -- in liquid. Researchers can then apply pressure with a stream of photons that moves the object around by changing the object's momentum. 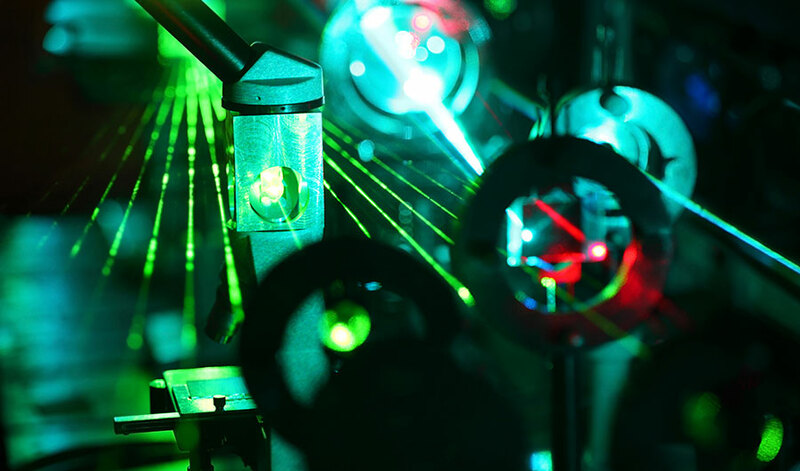 But on large scales, “it would require unbelievable amounts of laser power to muster forces that are appreciable,” said Steven Block, an applied physicist and biophysicist at Stanford. The amount of force applied by the laser light is equal to the power divided by the speed of light, according to a classic equation of electromagnetism. But that means a laser pointer, for example, would produce less force than a billionth of a pound, or about the weight of a single cell. Moving a large object with a tractor beam would require at least trillions of times that much pressure. A second problem arises from the laser light heating an object, since nothing is completely transparent to light. While being irradiated, a sphere gains heat proportional to its volume (like the radius multiplied by itself and then by itself again) while it sheds heat proportional to its surface area (like the radius multiplied by itself). The rising heat quickly outpaces the chance to lose it, when it comes to anything larger than a cell, though the liquid it's suspended in can help keep it cool. But even if you’re trying to tractor beam a little submarine, it’s surely still too large. “The reason it doesn’t scale up to make a tractor beam is that as we get bigger and bigger, first you boil, then you roast, and then you vaporize,” Block said. For biological systems, he and other scientists use small spheres attached to larger molecules as handles. That way, the lasers can exert forces to move DNA and RNA, for example. “You could imagine a donut-shaped laser or lasers aligned in a pattern to potentially trap a larger object,” said Rae Robertson-Anderson, a physicist at the University of San Diego. That means grabbing the object in multiple smaller locations, making overheating less of a problem, she said. People have made optical tweezers using computer-generated 3D holograms for that purpose, but they’re still limited to objects smaller than a millimeter in size. For spaceships and subs, the energy required and the heat problem seem intractable. But of course, “Star Trek” is set a couple of centuries from now. Maybe future Nobel laureates will be recognized for envisioning the more powerful technologies that today remain science fiction. Editor's note (10/04/2018): This story has been updated to correct a term in the description of the force applied by laser light . We regret the error. Ramin Skibba is a San Diego-based astrophysicist turned science writer.